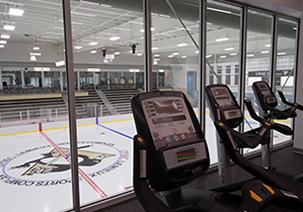 The UPMC Lemieux Sports Complex is the primary practice and training facility for the Pittsburgh Penguins as well as a comprehensive outpatient facility for UPMC Sports Medicine. 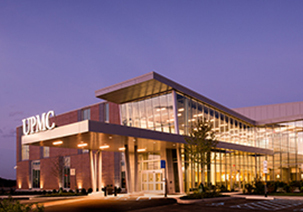 This first-of-its-kind facility in the Pittsburgh region is a true partnership between two world-class organizations, and features 185,000 square feet of total space dedicated to treating, training and inspiring athletes at every level. This state of the art facility was specifically designed to deliver excellence in all aspects of the development of athletes. 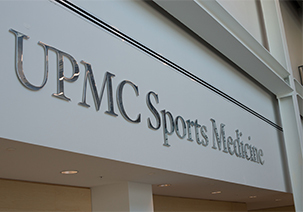 Using cutting edge technology and a science-based approach, UPMC advises on all areas of athletic performance. 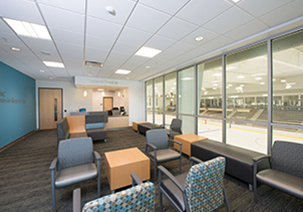 The world-class staff provides clinical services including physician services, imaging and diagnostics, physical therapy, and concussion management, all while being a leading innovator of sports medicine research. On the ice, our select team of hockey professionals offer comprehensive programs for player development that includes the region’s premier coaching staff, the highest quality training equipment, alongside proven academic and career guidance. 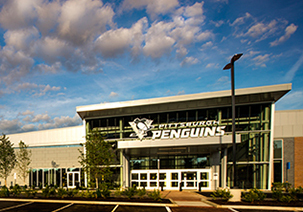 ©2019 UPMC Penguins Rinks / SportsEngine. All Rights Reserved.